Get your ninja on with this anime inspired Ninja Tanto. The 8 ½ inch razor sharp blade is ready to slice and dice objects at a moment’s notice. The expertly painted black wooden handle provides the wielder with a secure grip while accentuating the overall traditional feel of the knife. 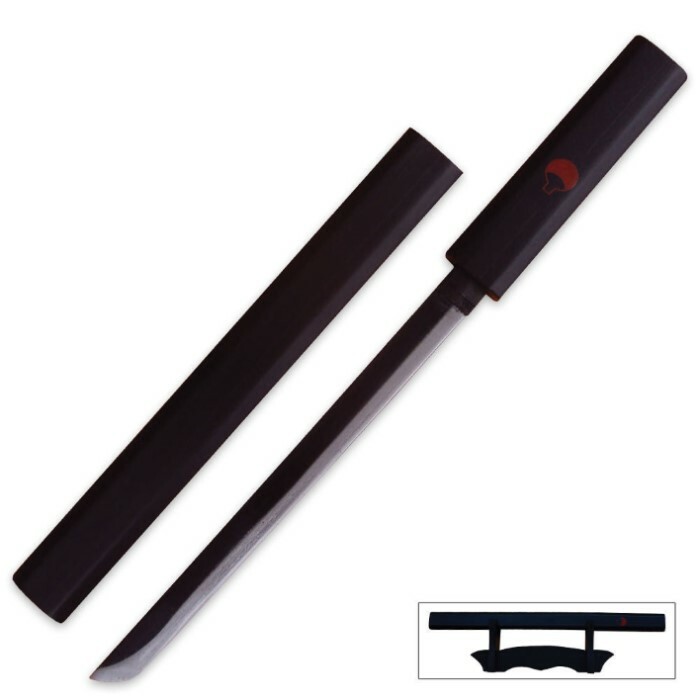 The included black wood scabbard is the ideal place to store this tanto when not in use.